My family has been worshipping at St. Paul's since we moved here two and a half years ago. If applicable, Spouse/partner’s name, and names/ages of children. Zack and I have been married for going on 11 years. We have two children, Greta (7) and Simon (3). I am a cradle Episcopalian, having grown up in St. Luke's parish in Durham, North Carolina. I decided I wanted to commit myself to the Christian faith as a teenager, primarily influenced by my participation in Young Life in high school. I subscribed to a more evangelical/non-denominational faith practice in late high school and through college, volunteering as a Young Life leader for 3 of my college years. As I grew into young adulthood, however, I began to recognize that my heart and my faith are most at home in the Episcopal Church. I was transitioning back toward regular worship with an Episcopal parish when I met Zack on Ash Wednesday, 2005, who happened to be another life-long Episcopalian (though we did not meet at church; ask to hear that story sometime!). We began attending church together in Chapel Hill, NC and have attended many wonderful Episcopal parishes in our various cities of residence over the years, including Chapel Hill, Ann Arbor, and Minneapolis. 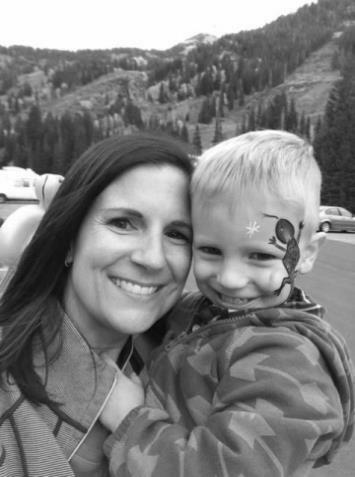 When we moved to Salt Lake City (Zack's home town) in 2014, we were not necessarily committed to returning to St. Paul's, the church home of his childhood, wanting rather to find the church family that was the best fit for us and where we felt our children would be best nurtured in the faith. Having tried on other local Episcopal churches in our first weeks here, we knew on our first visit to St. Paul's that we would be right at home in this family of faith and that our children would be embraced as a vital part of parish life. We are so thankful for this community.